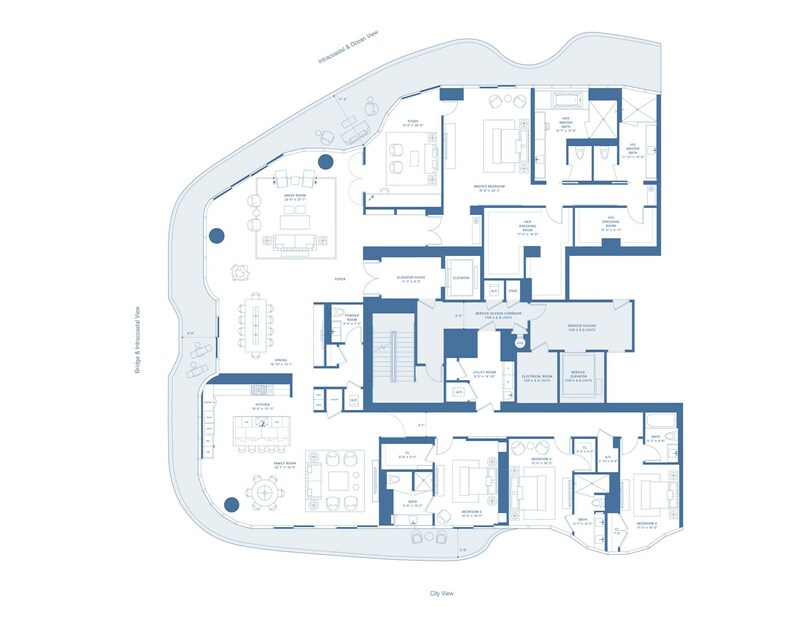 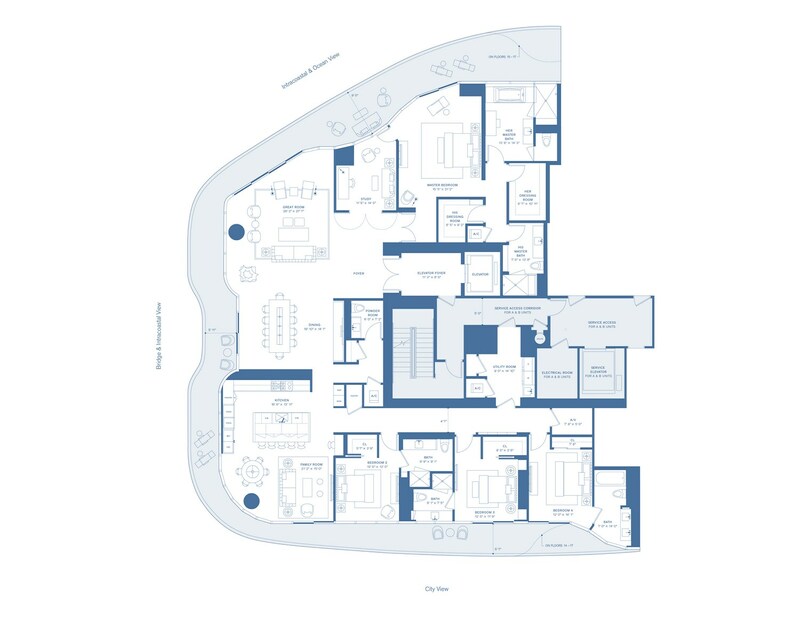 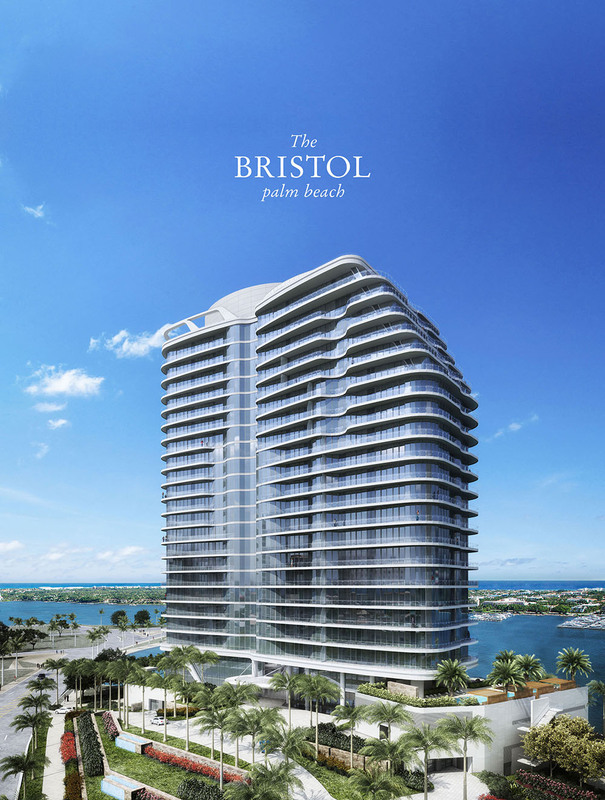 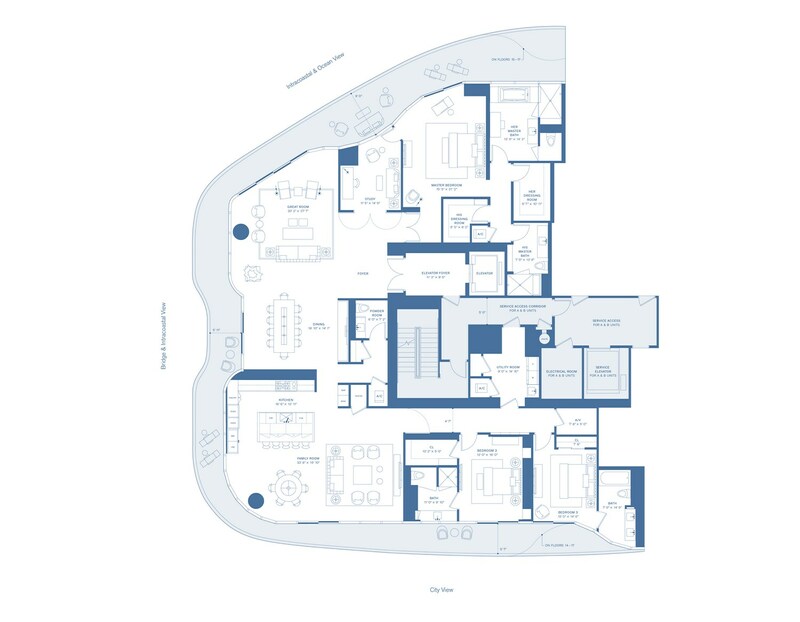 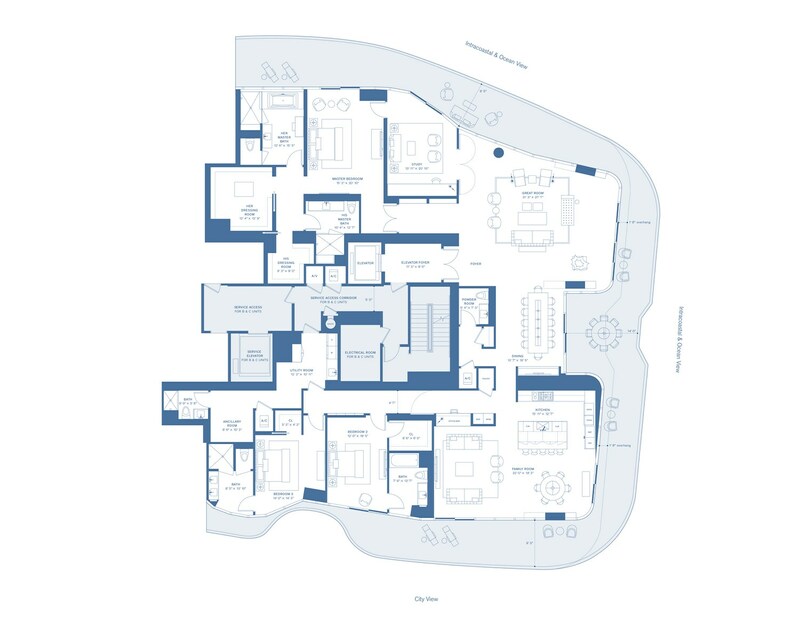 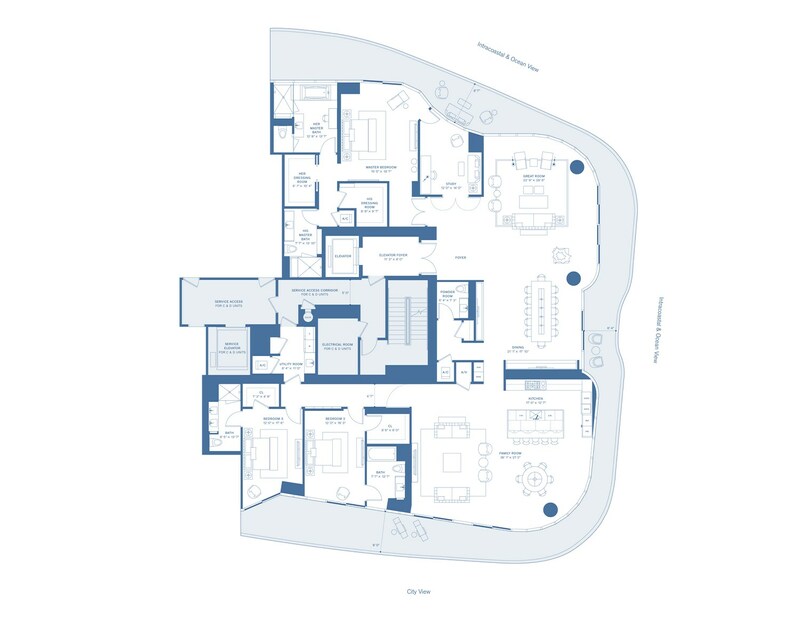 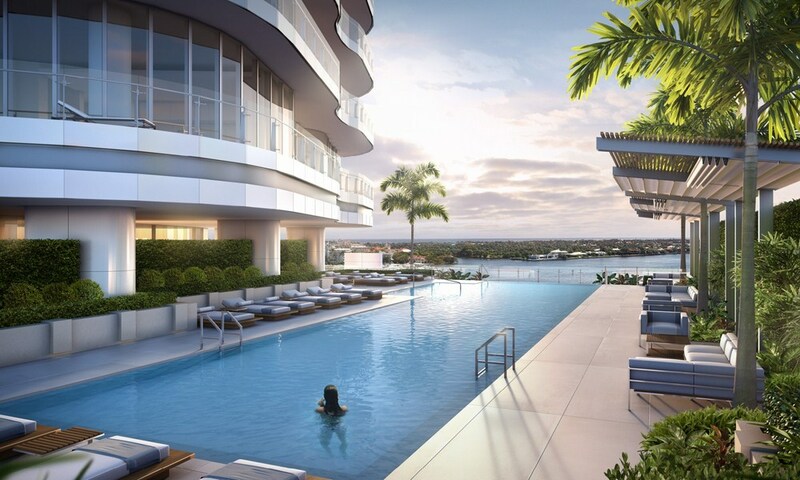 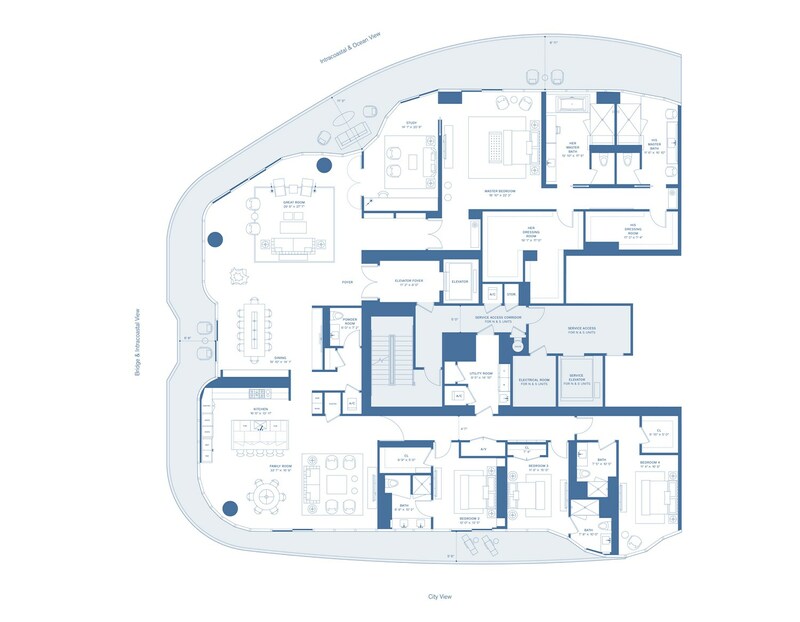 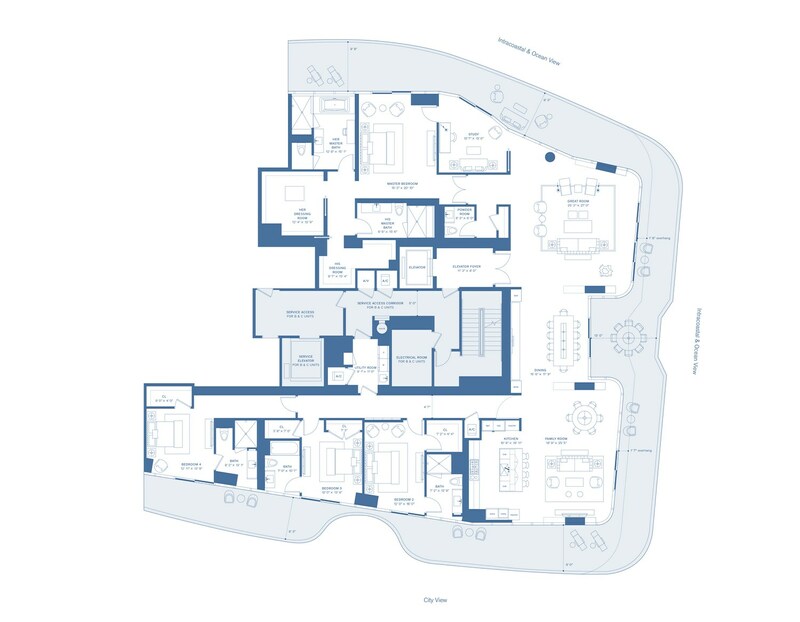 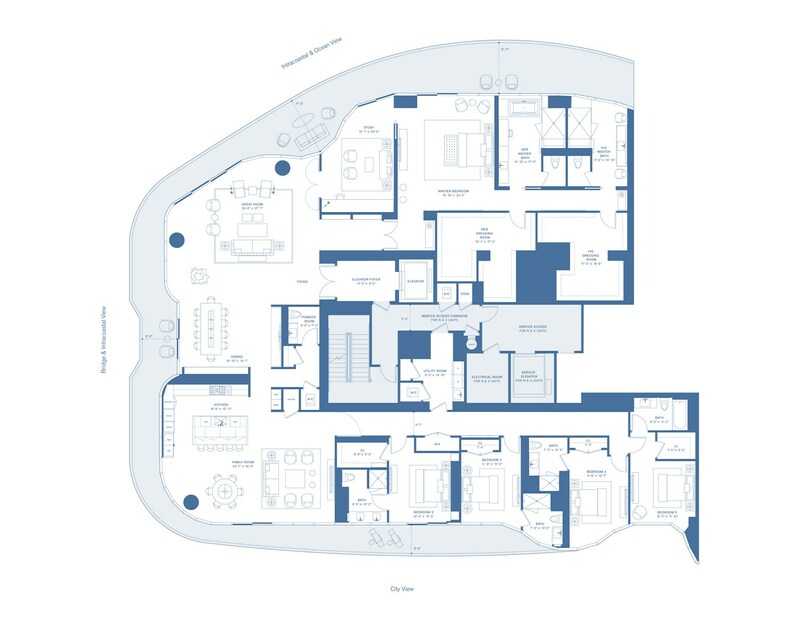 The Bristol is a new modern view on an opulent life style and a new era in the history of resort town Palm Beach. 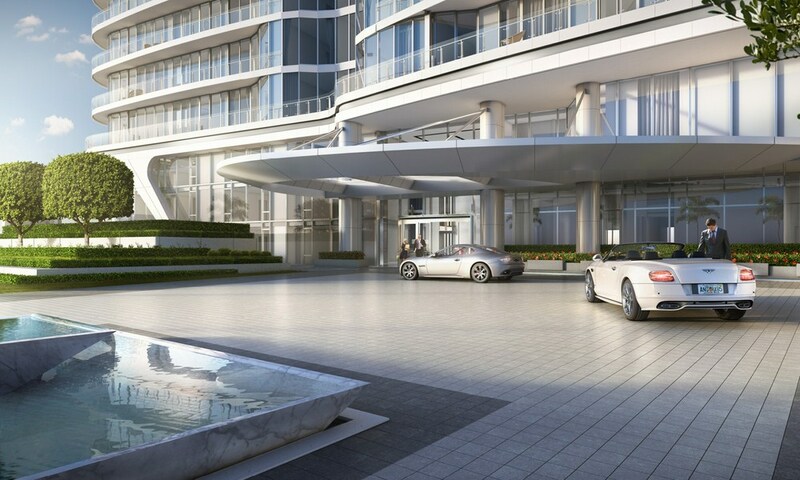 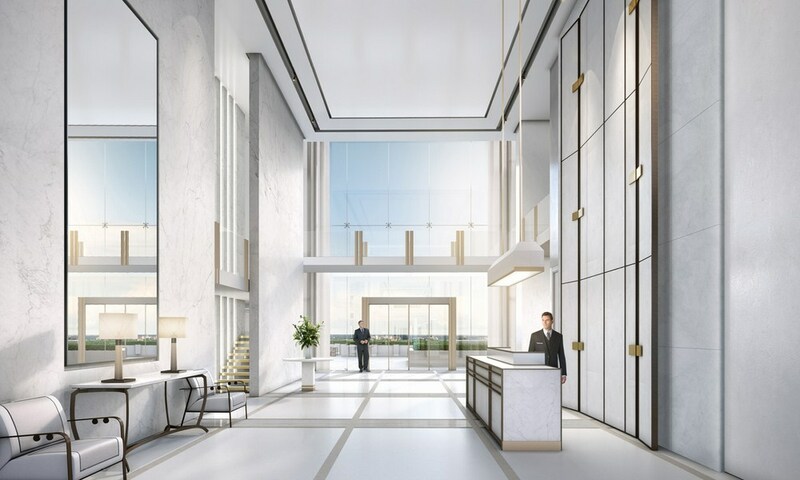 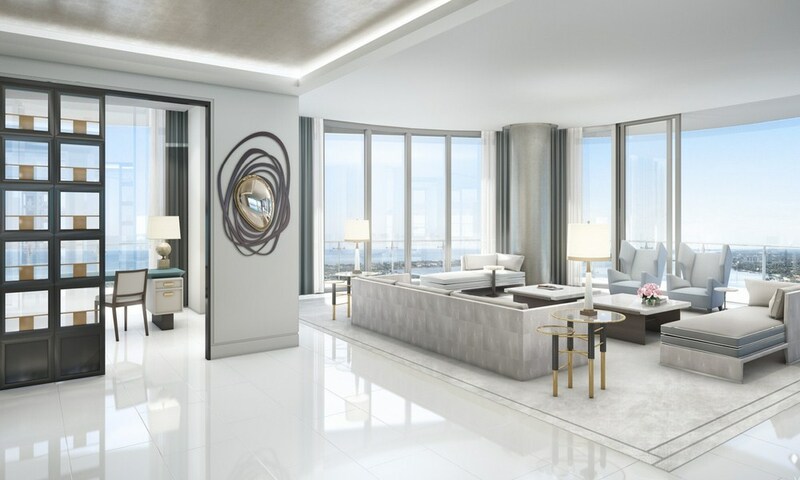 Shining glass building condominium The Bristol rising 25 stories above the ocean, offers five-star resort services and perfect space for luxury life style, embodied in dizzying 69 residences. 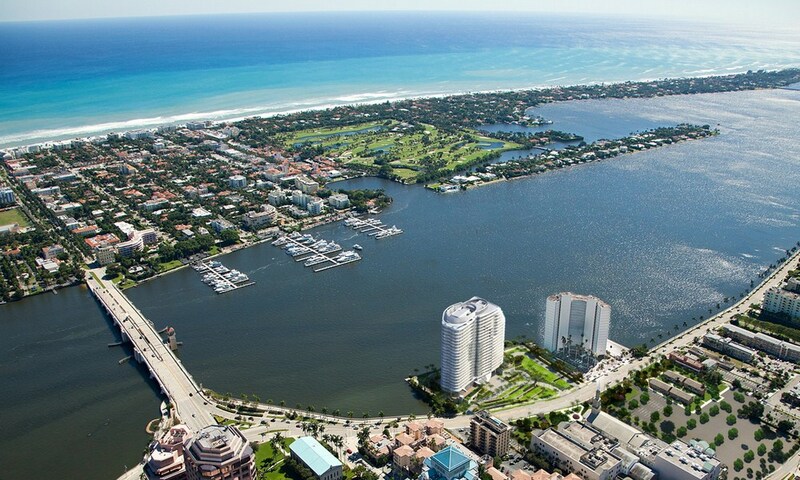 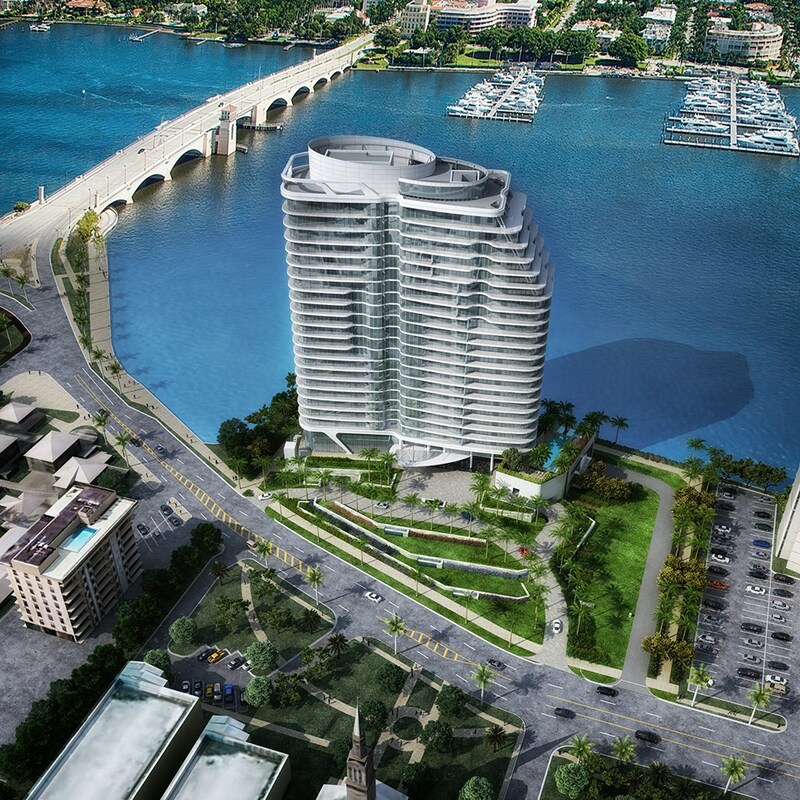 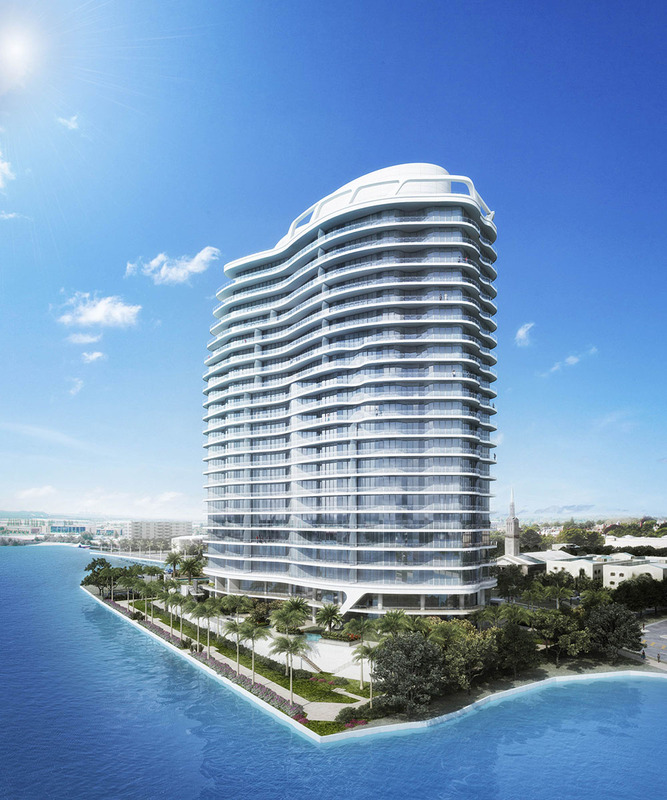 Mesmerizing unobstructed views of the Intracoastal waterway, the Atlantic Ocean and Palm Beach Island, highly efficient and soundproof floor to ceiling windows serving as external walls, spare generator, which allows maintaining desired level of air conditioning in all residences, private guest rooms are just a few distinctive features of a new generation condominium The Bristol. 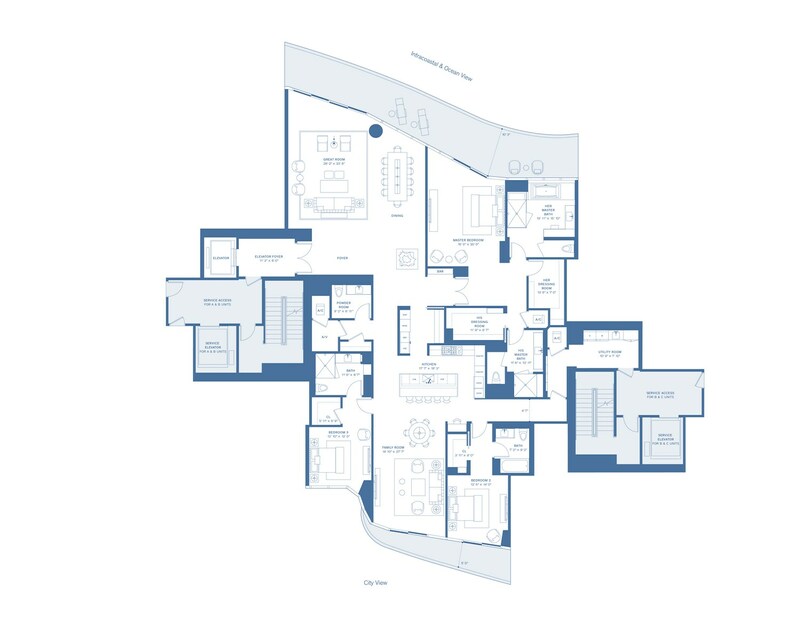 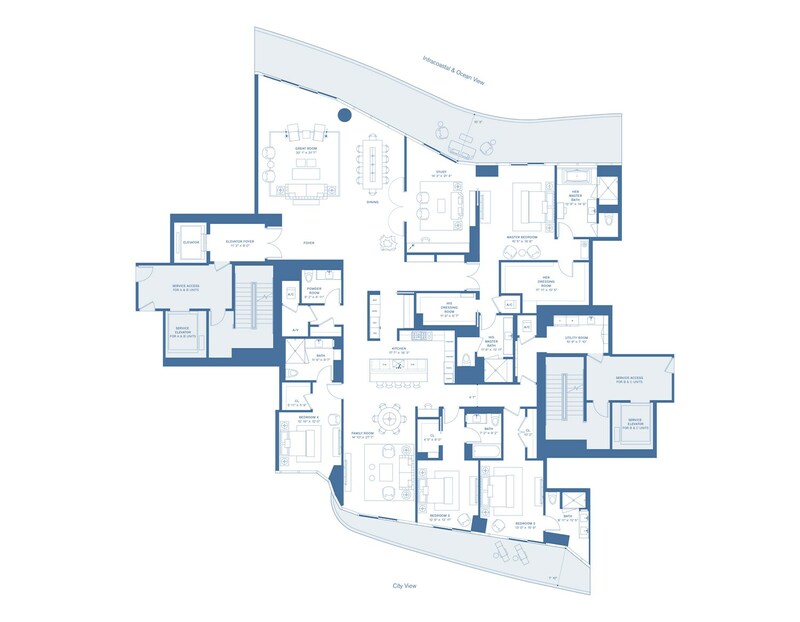 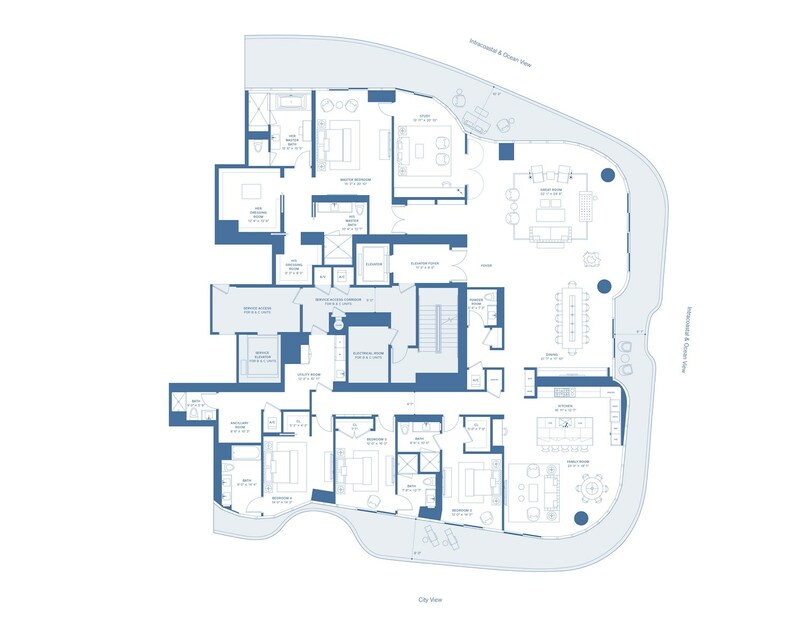 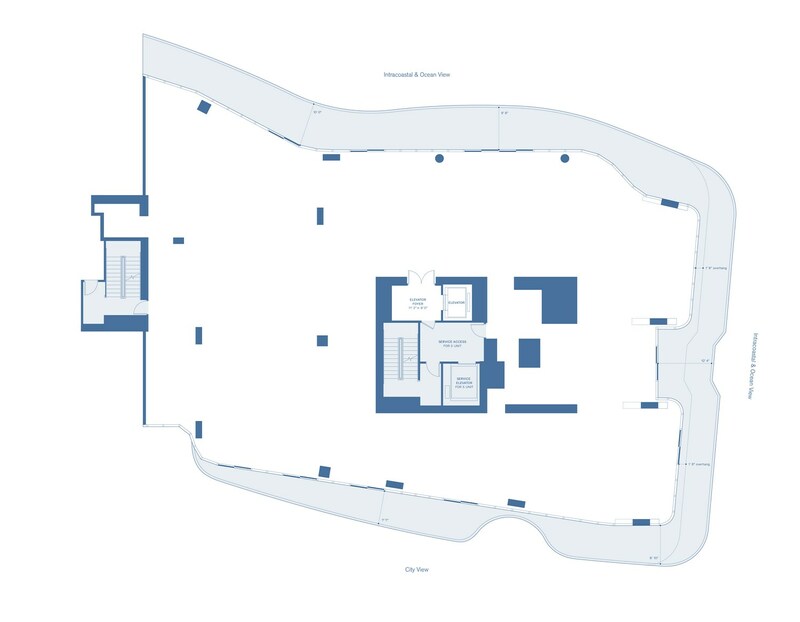 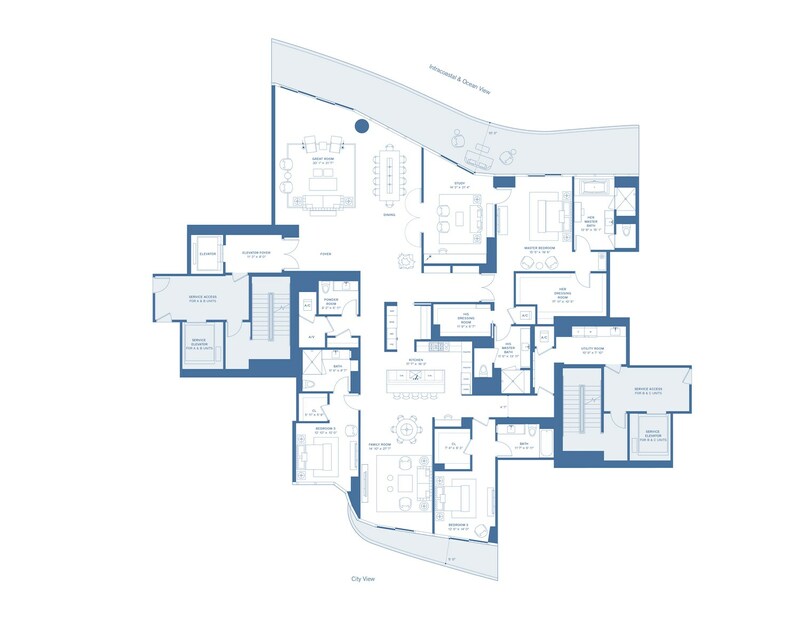 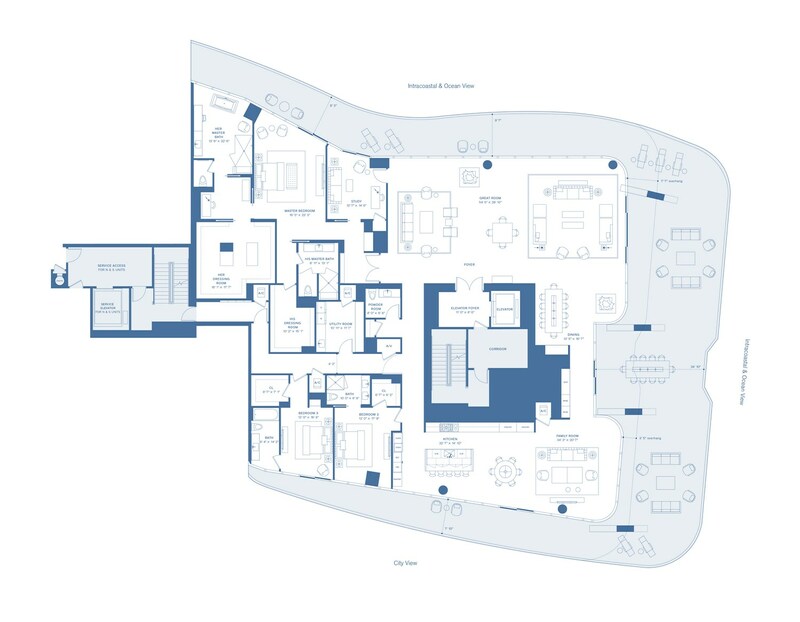 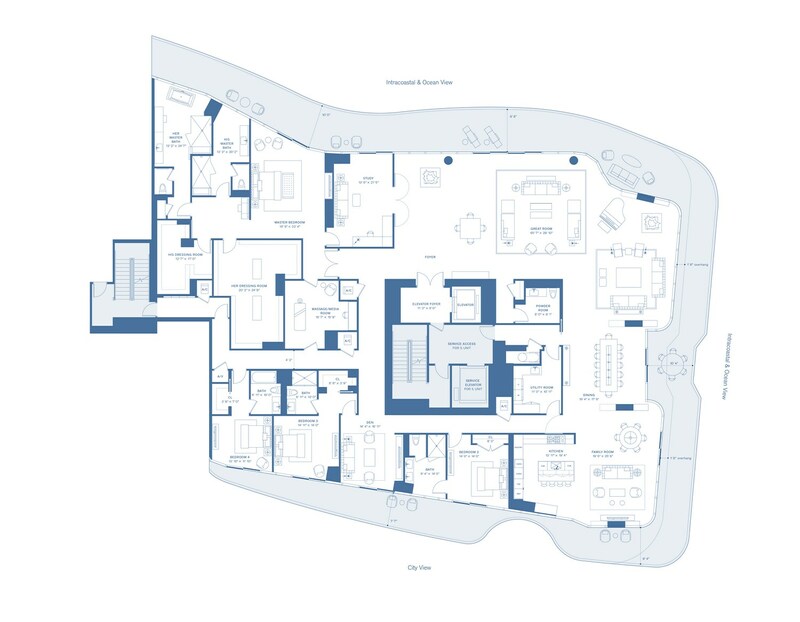 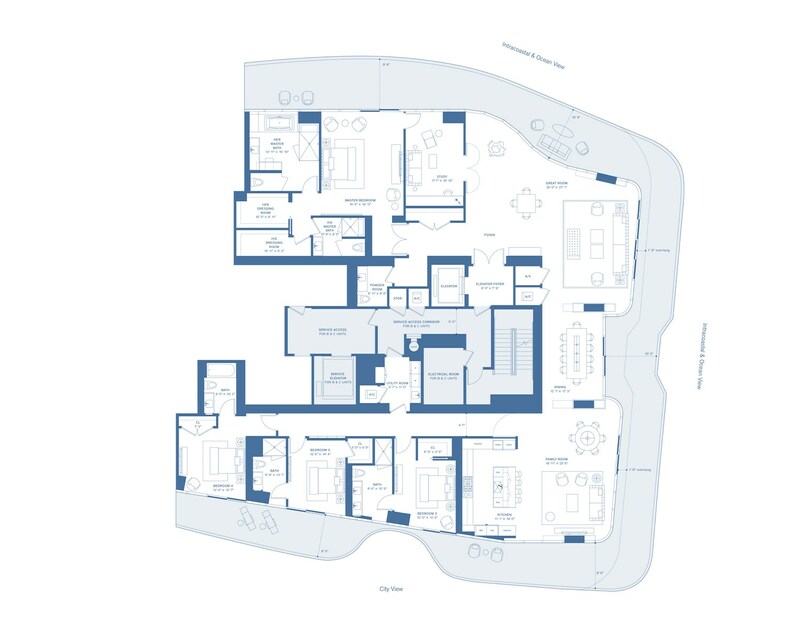 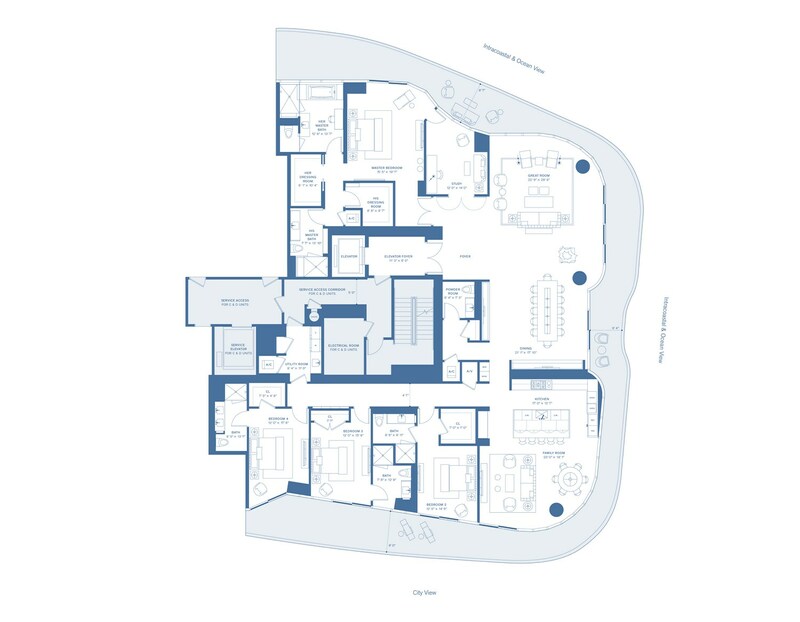 Beautiful collection of apartments includes 3-5 bedroom layouts ranging from 3 700 to 14,000 square feet in size. 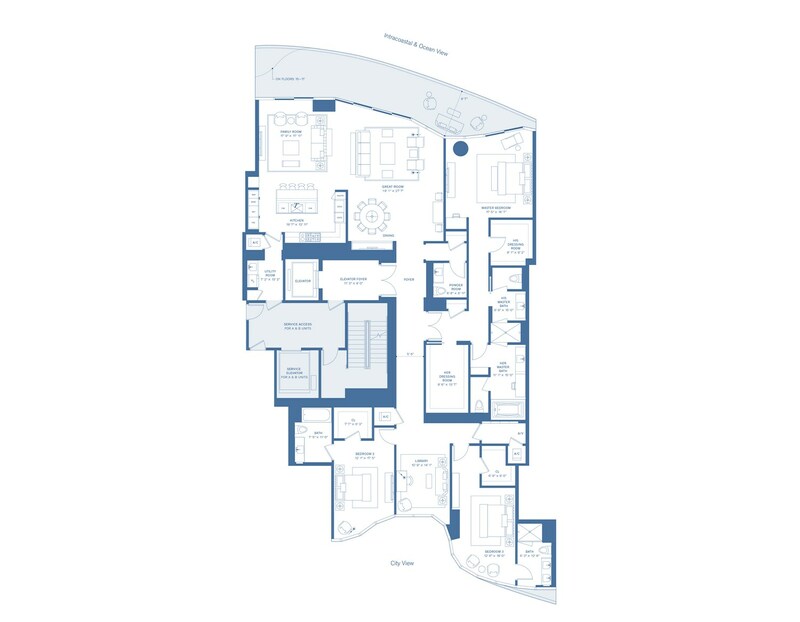 Without exception all The Bristol’s residences feature private elevators leading directly to apartments, and additional service elevators for staff and delivery. 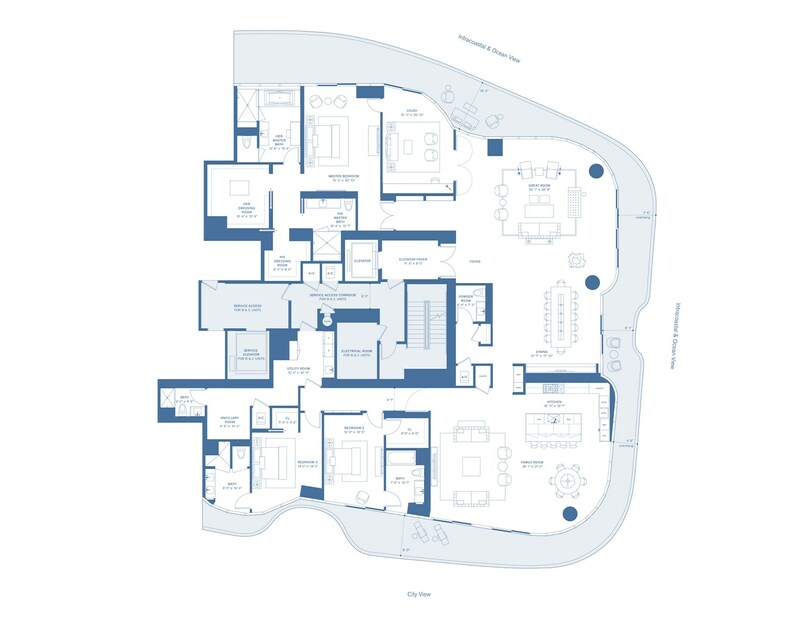 All residences have layouts through the entire floor with floor to ceiling windows which allow you to enjoy the ocean view in the East and beautiful sunsets in the West. 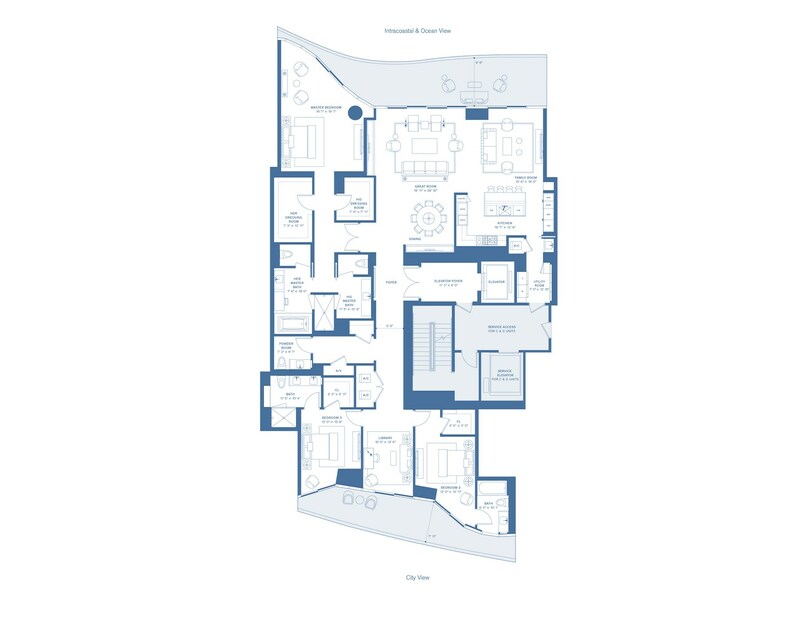 Turnkey apartments are fully prepared for living, with first-class finishes, all the necessary equipment and amenities. 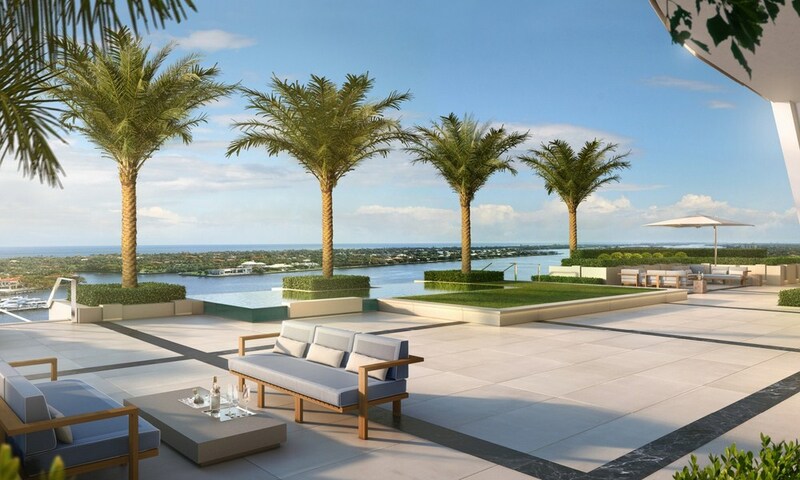 Buyers can choose flooring options for their residences: white marble or European bleached oak. 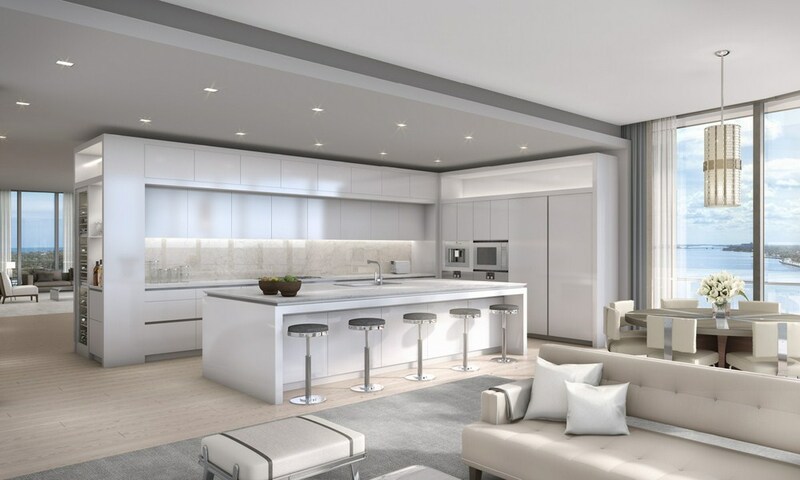 Professional kitchens are equipped with double ovens from Gaggenau, Sub-Zero refrigerators and wine cells for 100 bottles. 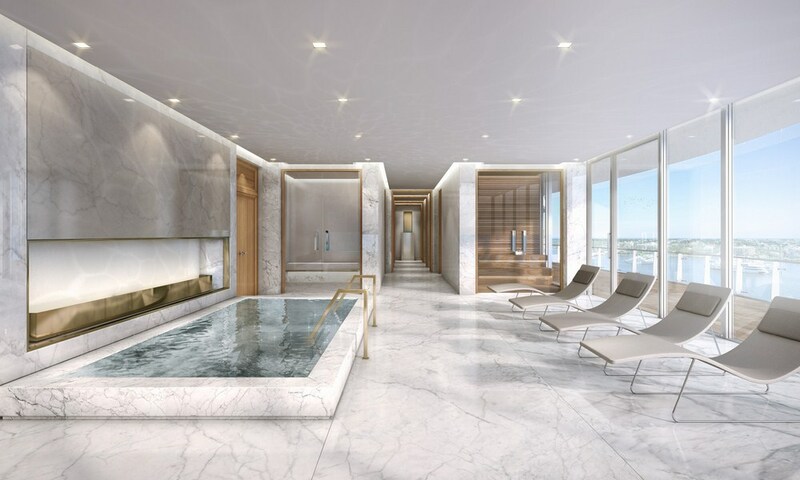 Bathrooms of the elite condominium are decorated with marble. 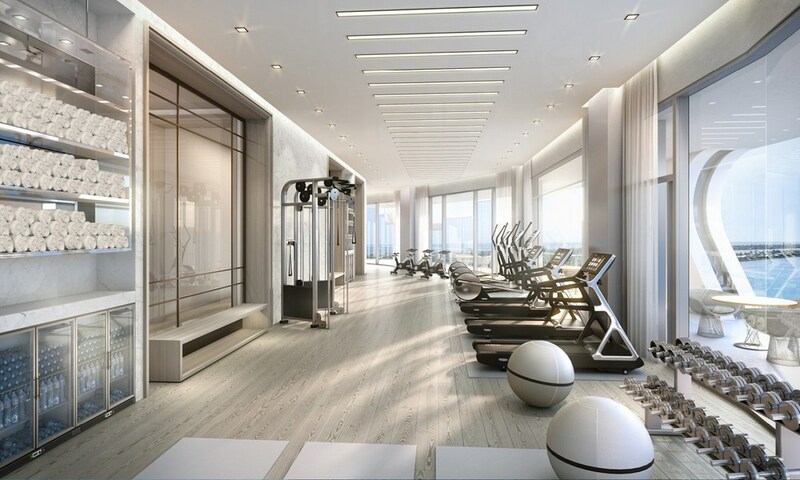 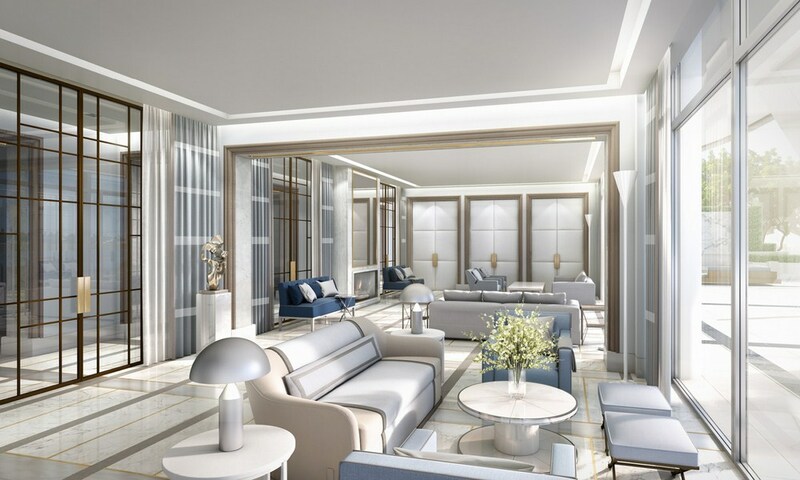 Round the clock Concierge service, butler service, fitness center, swimming pool, Spa treatments and a beautiful garden with plenty of opportunities for relaxation, entertainment and business events are at residents’ disposal. 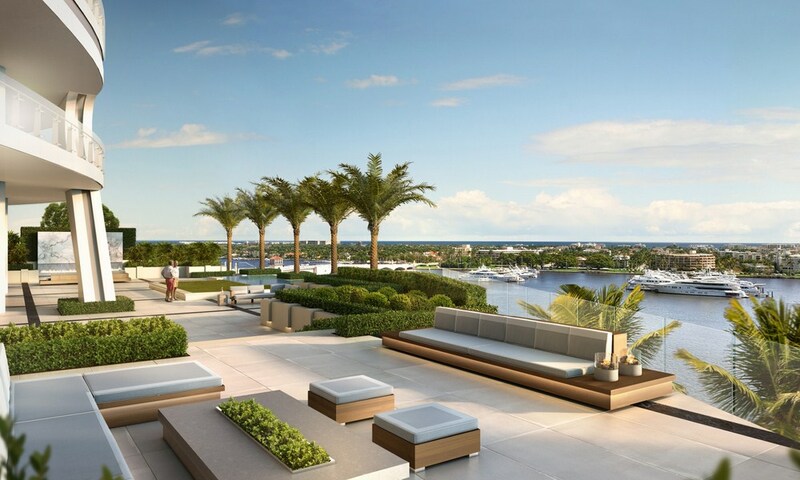 Condominium the Bristol occupies premium class plot at 1100 South Flagler Drive with unlimited ocean views, the Intracoastal Waterway and the city, offering its residents direct access to all the best offers of Palm Beach: excellent resorts, museums, harbors, airports, and Golf courses.